What Does the Fox Say? Well, "Ring-ding-ding-ding-dingeringeding!" Of course. 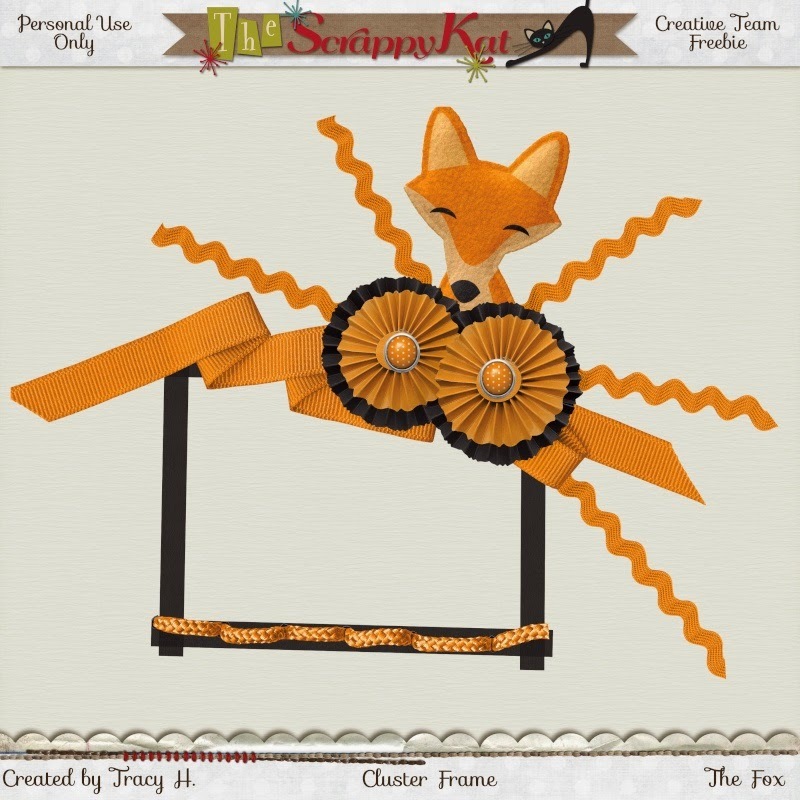 The Scrappy Kat's new kit, "The Fox" is inspired by the 2013 hit YouTube video and song that has received over 493 MILLION views. Haven't heard the song? Click on the below video and watch! 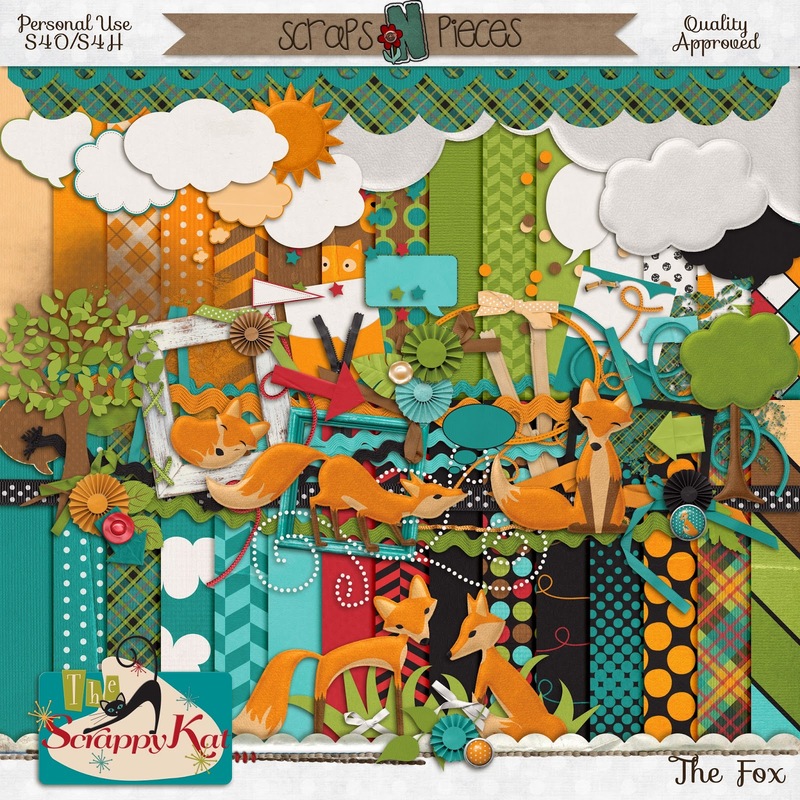 "The Fox" is a bright, cheery, fun kit and it is versatile to use for lots of different themes. The song is crazy and the kiddos love it! 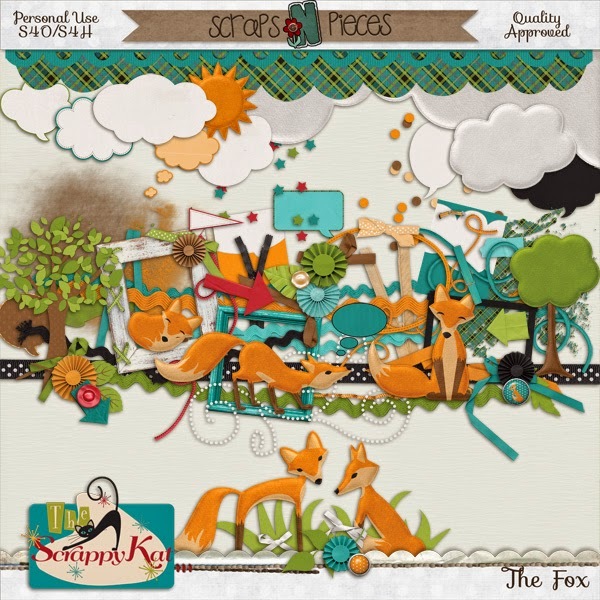 Kit includes 20 patterned papers, 10 colored papers, and 75 elements, including 5 foxes, 2 trees, 3 clouds & a cloud border, 4 frames, 5 speech bubbles, and 2 scatters. 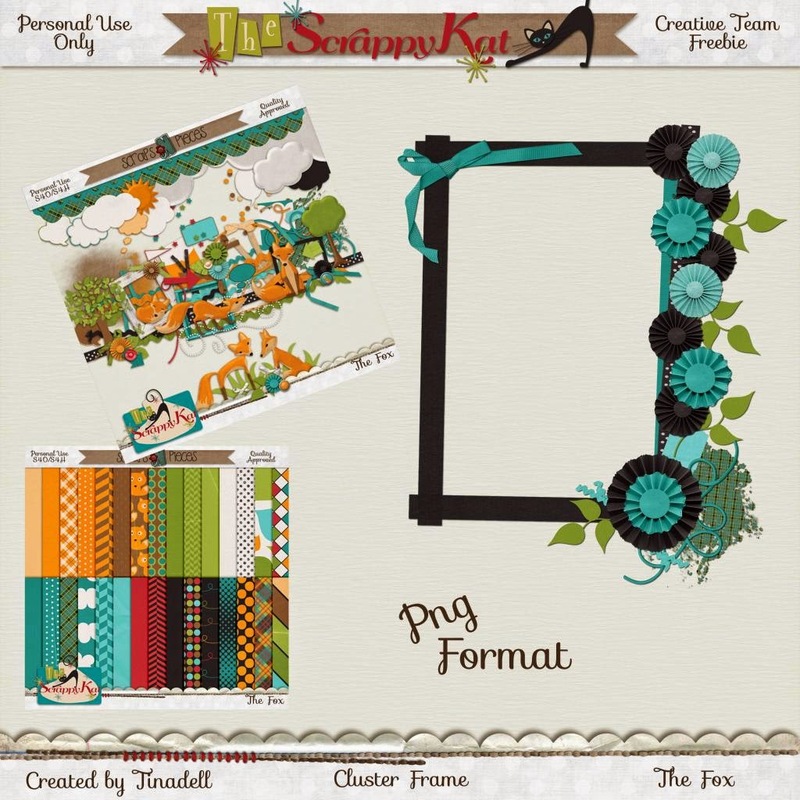 This kit will be available to purchase from Scraps N Pieces for 50% off the first week of the release. Did I mention the kit was versatile? 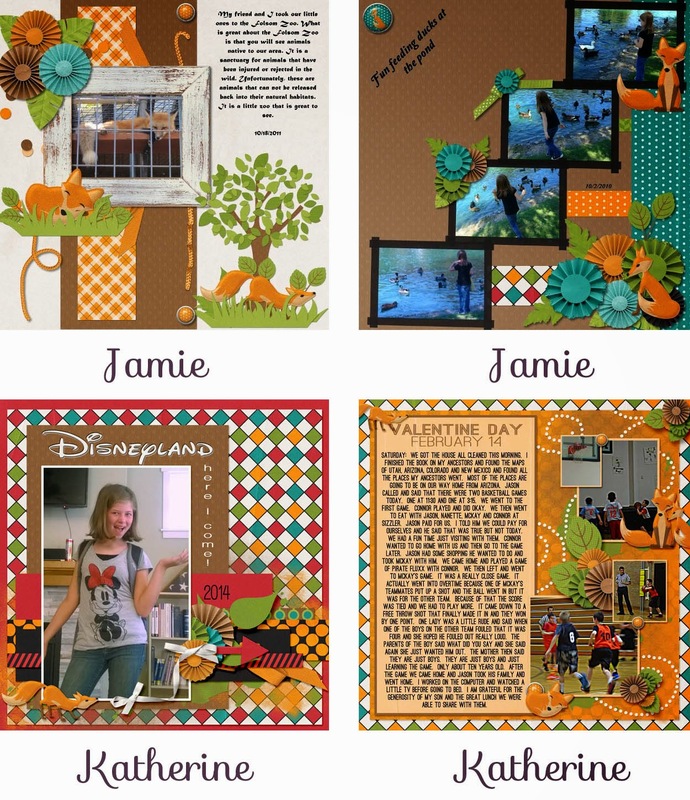 Look at these awesome layouts by the Creative Team! 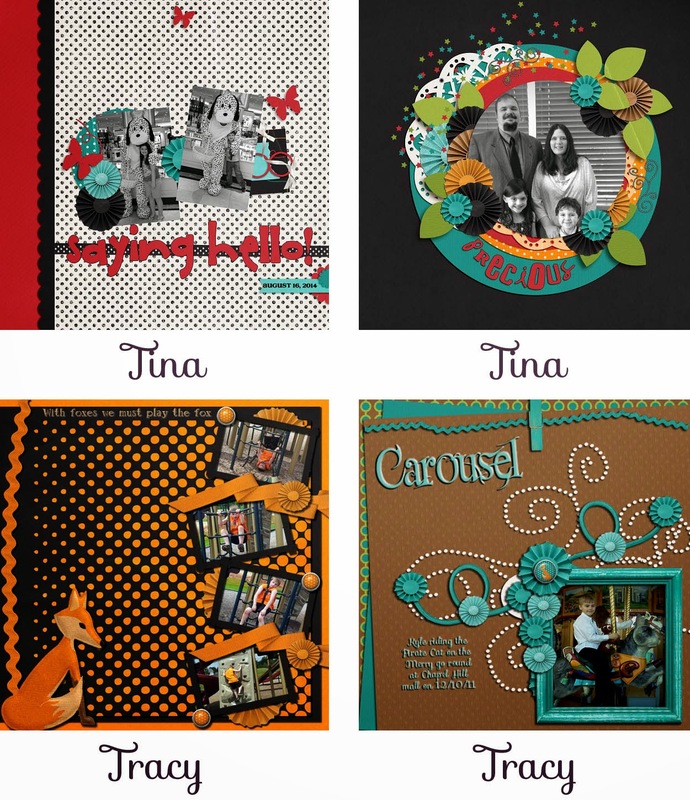 Be sure to visit the CT blogs to snag their awesome freebies! 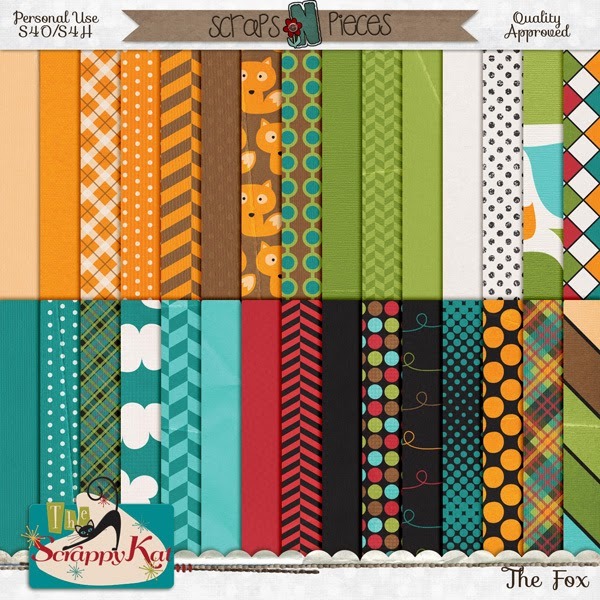 Head over to The Scrappy Kat Facebook page and grab this awesome freebie! 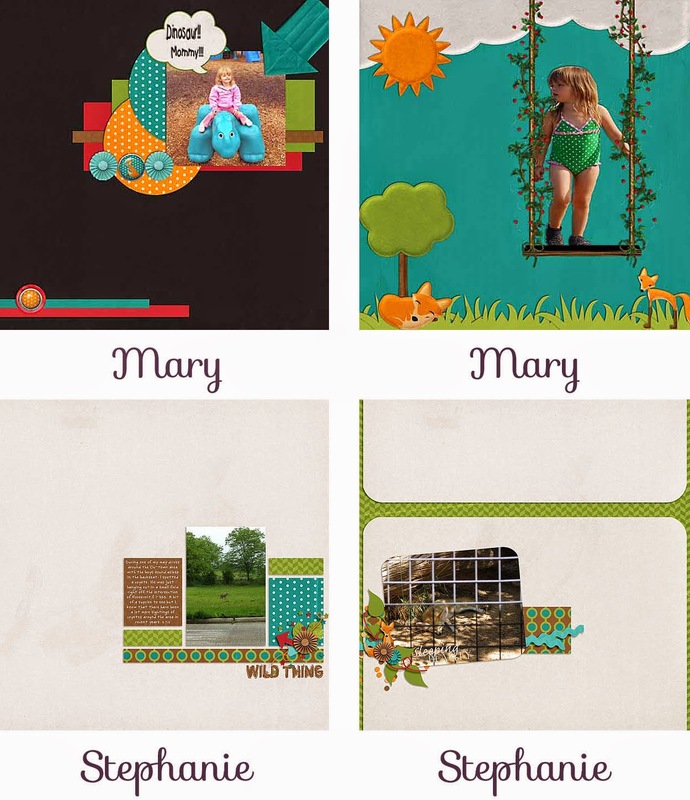 This freebie is exclusively available for The Scrappy Kat's newsletter readers. 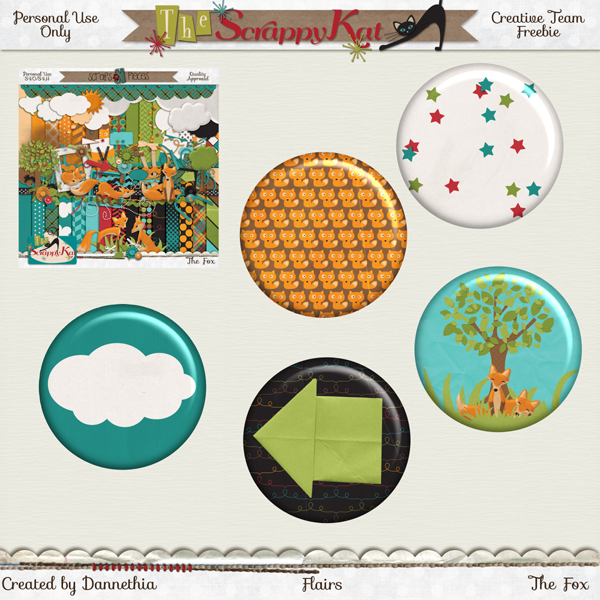 Grab these flairs by clicking over to The Scrappy Kat's website. 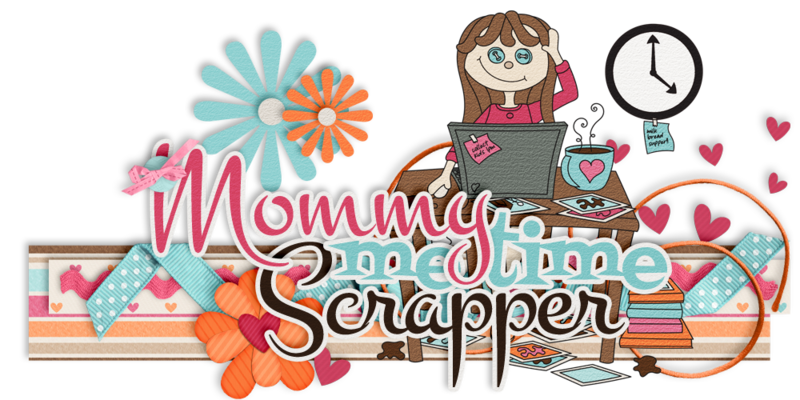 The Scrappy Kat is Having a Ton of Promotions!